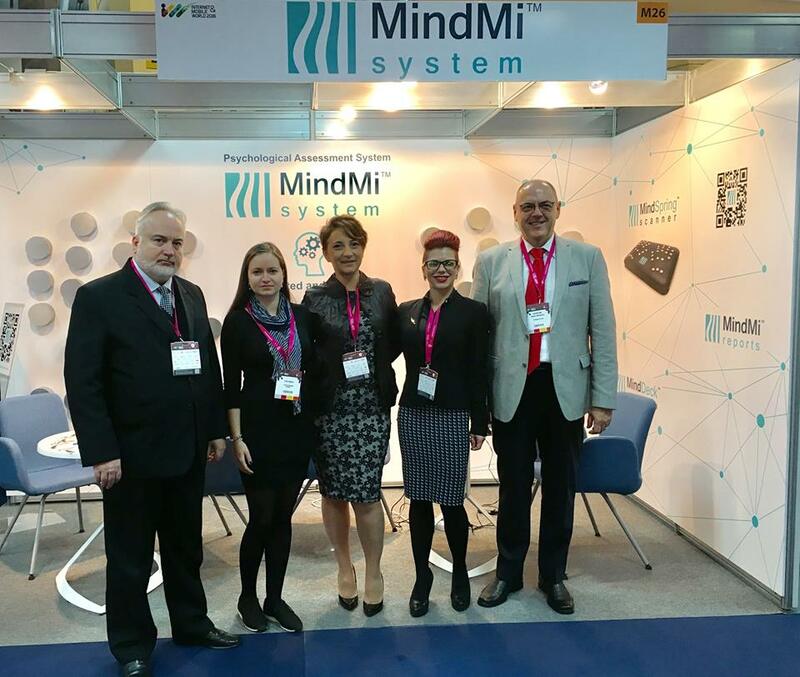 The commercial launching event of the MindMi™ System took place during the Internet Mobile World 2016 (IMW 2016), in Bucharest, between 5th-6th of October 2016. Over 300 persons with different professional backgrounds tested the MindMi™ System and discussed with the Psychometric Systems representatives about the benefits and technical specifications of this product. All the interested people had the chance of discovering how the psychological assessment processes take place by using the MindMi™ System. The examinations session that were made with the MindMi™ System are non-invasive and are made by placing both hands on the MindSpring™ scanner for 5 minutes. With the MindDeck™ web interface, the MindMi™ System generates a psychological report in less than 1 minute, while all the collected data remain available in cloud. By collecting unbiased data, the MindMi™ System may help with decision making processes for people who work in the field of recrui™ent, management, working teams or safety assessments. The MindMi™ System is available for sale since 11th of October 2016.